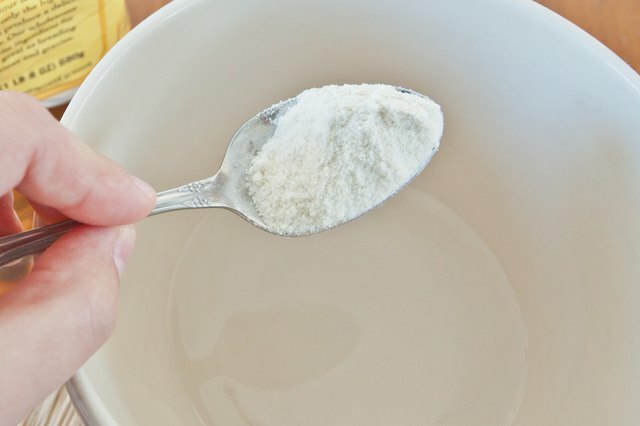 A thickening agent, xanthan gum is commonly used in gluten-free cooking. 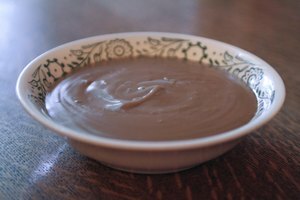 Use xanthan gum if you need to thicken gravy and do not have flour on hand, or if you are preparing a gluten-free meal. The process is similar, but not identical, to adding any other thickening agent to the gravy. 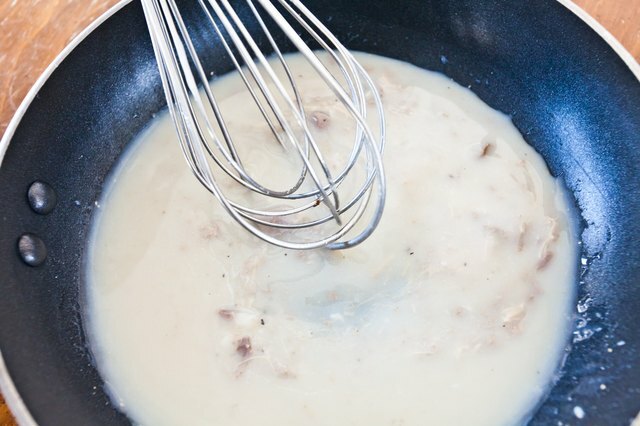 To thicken gravy with xanthan gum, allow for at least 15 minutes after preparing the gravy. 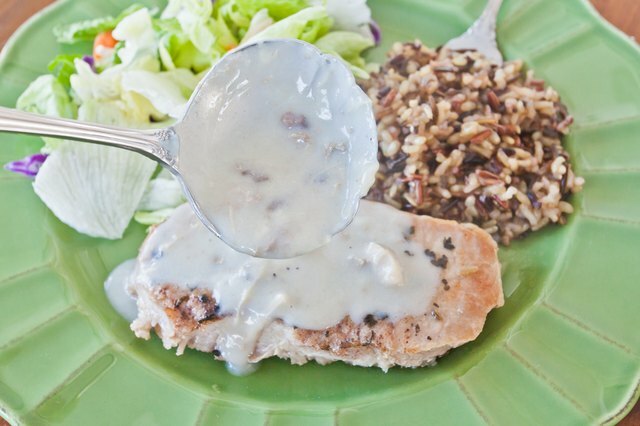 You can use xanthan gum to thicken any amount, or type, of gravy. 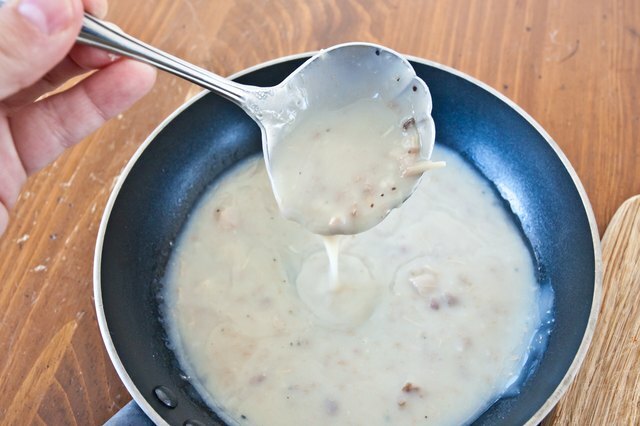 Combine 2 tablespoons xanthan gum with 1 tablespoons hot water, for every 1 cup of gravy, in a small bowl. Whisk quickly until the mixture is smooth. Pour the thickening mixture into the saucepan containing the gravy, and whisk constantly. Bring to a simmer over medium-low heat and continue whisking for 5 minutes. Add a second mixture of xanthan gum and water to the gravy and repeat until it reaches the desired consistency. 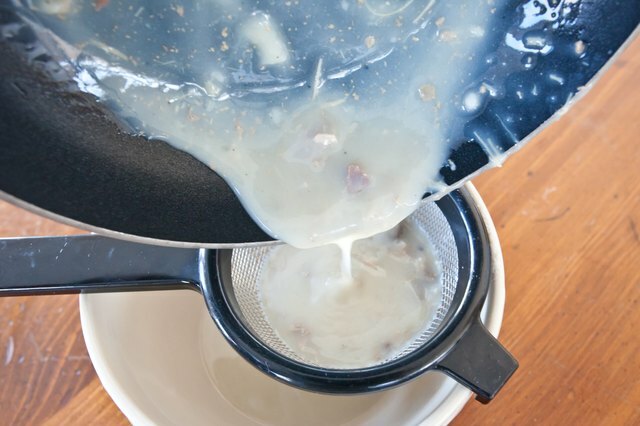 Pour the thickened gravy through a strainer to remove any lumps left behind from the xanthan gum. Simmer the gravy for another 5 minutes before serving. Even with constant whisking, xanthan gum usually leaves small, dumplinglike lumps in the gravy. Never add dry xanthan gum to gravy or you'll end up with a lumpy mess.